Image courtesy of Canariis Corp. The 2016 Edition of NFPA-20, the Standard for the Installation of Stationary Pumps for Fire Protection adds new requirements to ensure that good quality fuel is available to diesel engine-driven fire pumps. 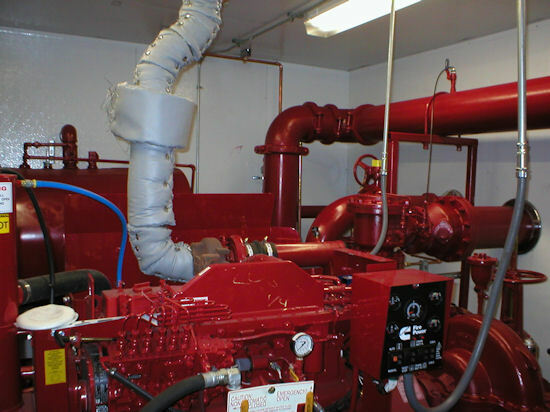 It may be a while before your State adopts the latest Edition of the Standard (Florida is still working with the 2010 Edition), but if you design or specify diesel engine-driven fire pump systems, it may be worthwhile to familiarize yourself with these updates. NFPA recognizes that commercial fuel-oils used in modern diesel engines are subject to detrimental effects during storage. Water accumulation and other naturally-occurring factors contribute to fuel quality degradation over time. These issues can lead to corrosion in fuel tanks, clogging of fuel filters and the eventual failure of the engine-driven fire pump. 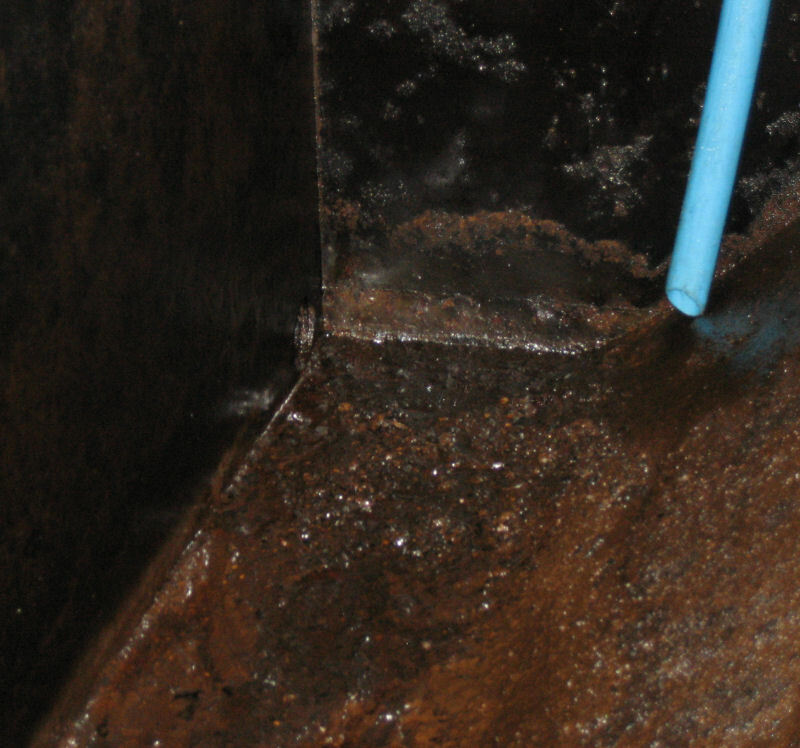 fuel tanks be maintained to remove water and foreign material. Closely tied to this subject, the 2014 Edition of NFPA-25, the Standard for the Inspection, Testing, and Maintenance of Water-Based Fire Protection Systems, requires annual testing of the fuel supply tank for water and foreign material. Where fuel quality is found to be deficient, the Standard requires that the fuel be reconditioned or replaced, the tank cleaned and the engine fuel filters replaced. Periodic testing and maintenance for stored fuel is an important safety precaution. Nevertheless, it will likely be an unwelcome burden for facility managers and, lacking strict inspections and enforcement by the local AHJ, I can see them falling behind on these requirements. This can of course lead to safety issues and very serious exposure to public liability. On this last point, the NFPA technical committee may have felt the same way. In what I view as a good step, the Standard permits the installation of an “active fuel maintenance system”, to perform the required fuel quality maintenance and monitoring. The quality of stored diesel fuel for engines in mission-critical installations has been the subject of several articles I have written in the past. Fuel quality is recognized to be a serious concern by engine manufacturers, installers and facility operators in a wide range of industries. I welcome NFPA efforts in this area and especially the provisions to allow automated equipment to lower the burden on facility managers. Easily complies with the new 2016 NFPA-20 requirements for fuel maintenance. A permanently-plumbed, automated system minimizes fuel spills and personnel involvement. Allows automated fuel conditioning events, set by an owner-programmed schedule (no third-party service contracts to manage). Lowers overall implementation costs, as compared to subcontracted services for periodic inspections and maintenance. As an additional benefit, considering the relatively small size of the fuel tanks in question, the active fuel maintenance system has a very compact design (see an example here). With simple installation requirements, this equipment is just as suited for new construction, as it is for future retrofits (when your State adopts the 2016 Standard). To summarize, an active fuel maintenance system is the simplest and most cost-effective method to achieve consistent compliance with the NFPA-20 Standard, while protecting the facility owner from safety issues and unnecessary exposure to liability. Even if your State has not yet adopted the 2016 Edition of NFPA-20, proactive compliance should still be worthy of your consideration. Want to learn more on this topic? Fuel Maintenance Systems are a crucial for Standby Power Systems too!